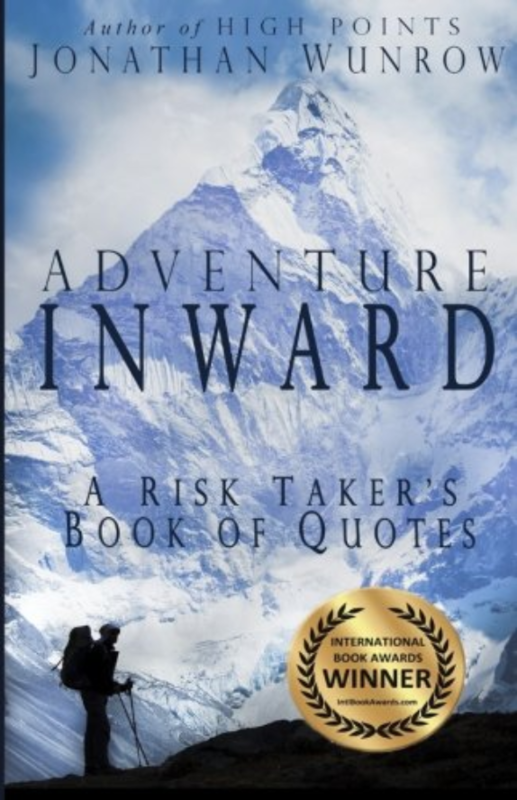 Written for adventurers and non-adventurers alike, Jonathan Wunrow’s collection of quotes and insights will inspire thrill seekers and risk takers of all sorts, encouraging personal exploration, guidance, and the ultimate adventure: inward. Through his own experiences as an avid mountain climber, Wunrow and his work use quotes to explore the nature of why extreme sports enthusiasts do what they do, and how their risk taking impacts them and those around them. The 15 topics explored in Adventure Inward offer perspectives on life, death, purpose, and meaning, not just for risk takers and extreme sports enthusiasts, but for people of all walks of life. In 2009, the author successfully climbed the "Seven Summits" of Central America", reaching the summit of the highest peak in each country. These climbs are part of a larger goal of being the first to climb the highest peaks/points in every one of the 23 countries of the Americas (North America, Central America, and South America). High Points: A Climber's Guide to Central America provides quick and easy access to everything one needs to know to climb the highest peak in each of the seven countries in Central America, without having to buy a guidebook for each country. 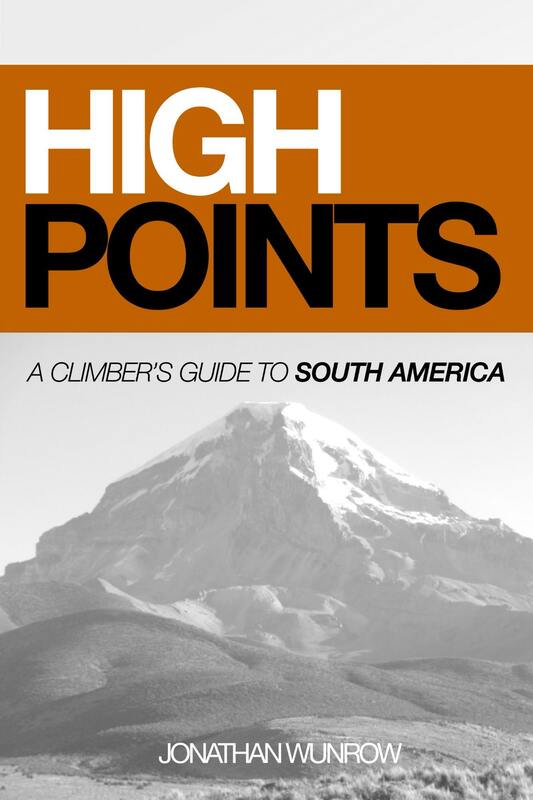 High Points: A Climber's Guide to Central America includes the essential information for climbing the standard (and typically easiest) route on each country high point: Doyle's Delight - 3,853' (Belize), Mogotón - 6,909' (Nicaragua), Volcán Tajumulco - 13,845' (Guatemala), Volcán Barú - 11,401' (Panama), Cerro el Pital - 8,957' (El Salvador), Cerro Las Minas - 9,347' (Honduras), Chirripó - 12,530' (Costa Rica). Reaching these high points is a scenic day hike in some cases that does not require much more than a day of hiking, a sack lunch and some comfortable walking shoes. However, in other cases, the climb requires a level of commitment and determination that rivals many peaks around the world that are much higher in elevation. In addition, given the obscurity of some of these country high points (Doyle's Delight in Belize, and Mogotón in Nicaragua for example), there are route descriptions in this guidebook that can't be found in any other books or websites on or off the market. The information is primarily from the author's first hand experience of climbing each of the mountains/routes described, and secondarily from hundreds of hours of pre-climb research conducted by the author in preparation for each climb. An emergency bivouac at 20,000’ on Bolivia’s highest mountain that left the author near death. Bushwhacking through a remote Surinamese jungle for eleven days to make the first recorded ascent of Juliantop. Venturing alone to Argentina to attempt a solo climb of the highest mountain in the Western Hemisphere. These and other adventures make High Points: A Climber’s Guide to South American, Part 1 more than a climbing guide. They offer a unique insight into the emotional and physical thrills and challenges that come with climbing in the jungles and on the high icy peaks of South America. High Points: A Climber’s Guide to South American, Part 1 offers insights into what it takes to successfully climb the highest peak in eight of South America’s thirteen countries. The author’s journal entries for each of these climbs include details that only someone who has personally completed these climbs can provide. • Venezuela, Pico Bolivar (16,332’) • Bolivia, Nevado Sajama (21,463’) • Suriname, Julianatop (4,199’) • Guyana, Mount Roraima (9,219’) • Argentina, Cerro Aconcagua (22,841’) • Uruguay, Cerro Catedral (1,685’) • Paraguay, Tres Kandú (2,762’) • Ecuador, Chimborazo (20,548’) As a companion volume to the author’s earlier book, High Points: A Climber’s Guide to Central America, this new adventure guide is packed full of insights, approach details, and anecdotes that will keep you turning the pages.